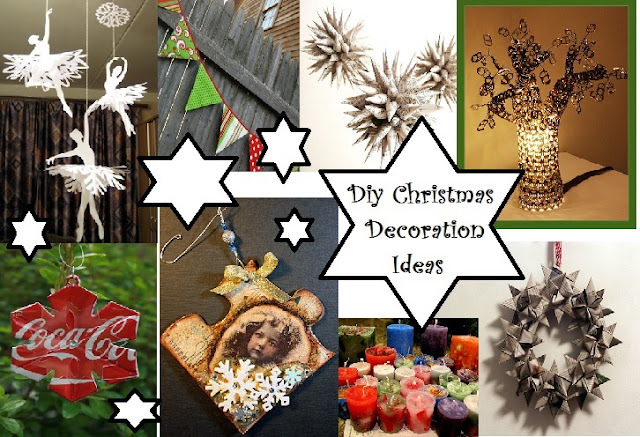 .Enjoy, Be inspired and start doing....and if they turn out really good,,,,,You can sell them at Christmas fairs....and gift them to friends, family and any other special beings in your life. 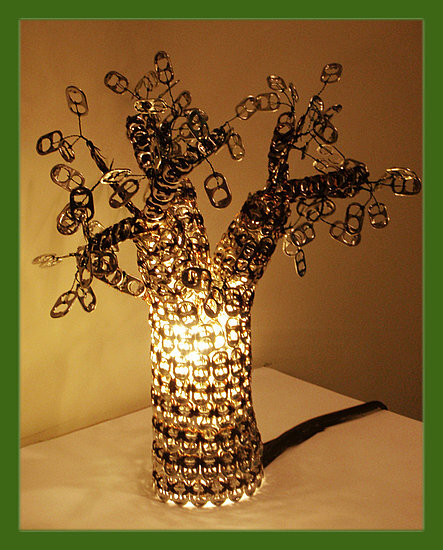 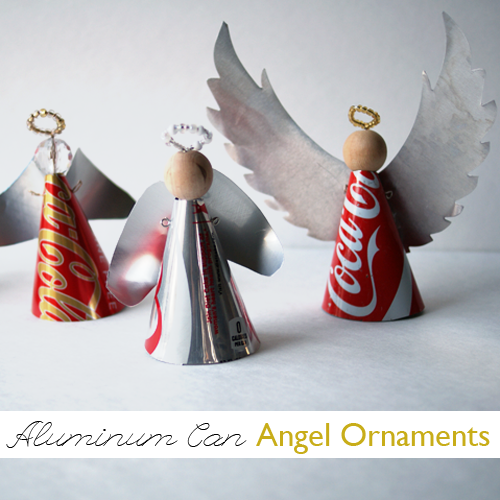 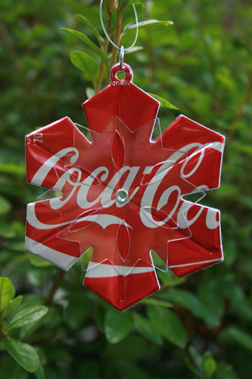 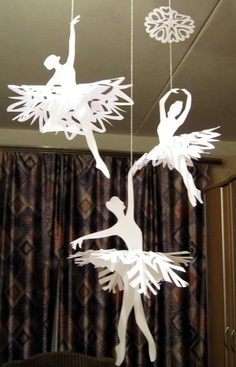 Snowflakes are always popular, these ones are created from upcycled coke cans.. 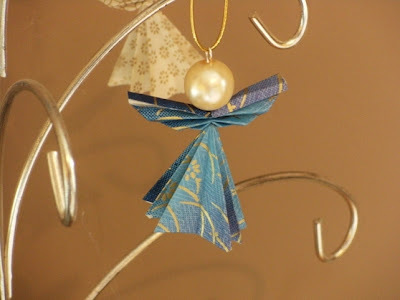 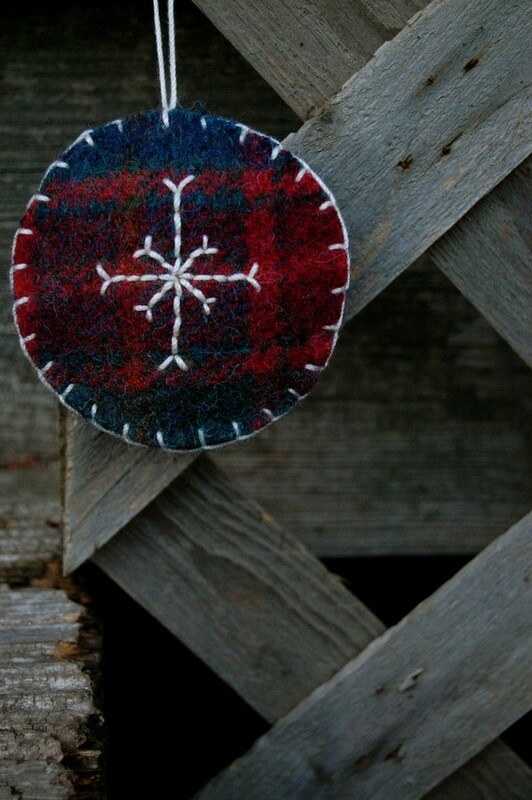 Toilet roll, cut in to 5 pieces, glued together and cute gem placed in the center where the join is....simple and a wow diy Christmas Decotation. 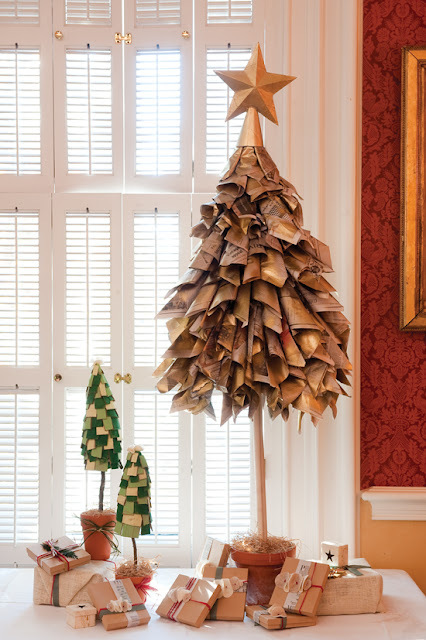 Fantastic Christmas tree made with newspapers/brown paper bags, chicken wire, flower pot, glue and paint. 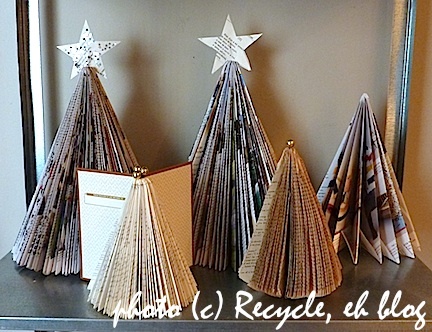 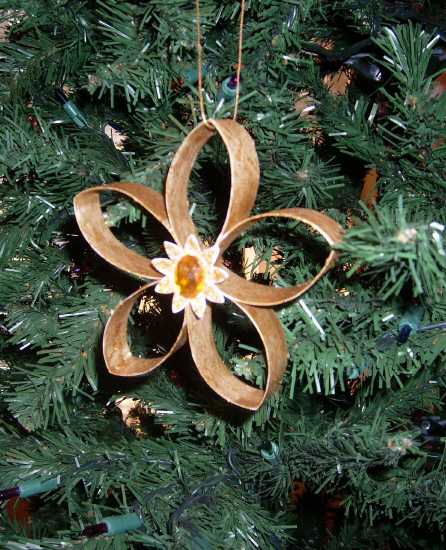 Make a cone shape with chicken wire, and cones with the paper and layer up to create a Christmas tree. 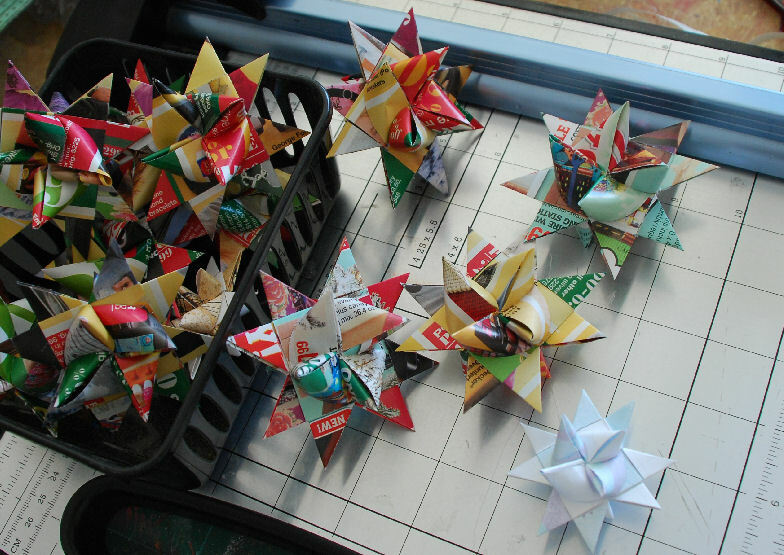 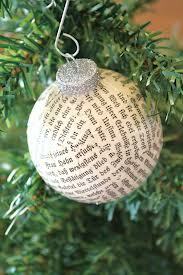 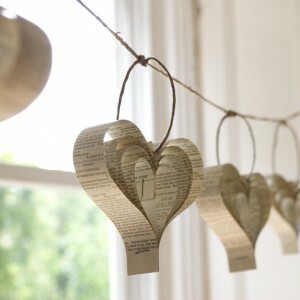 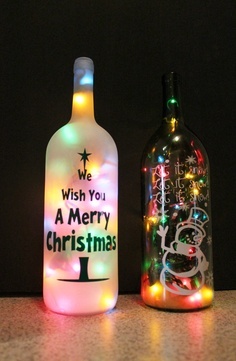 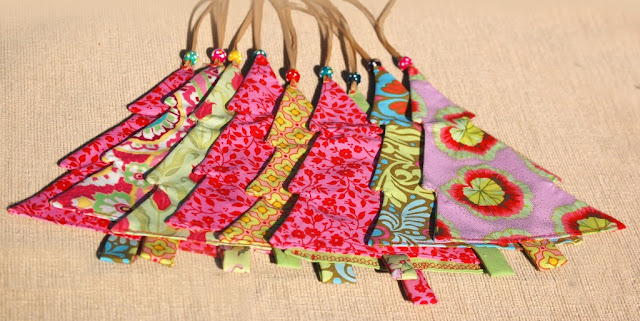 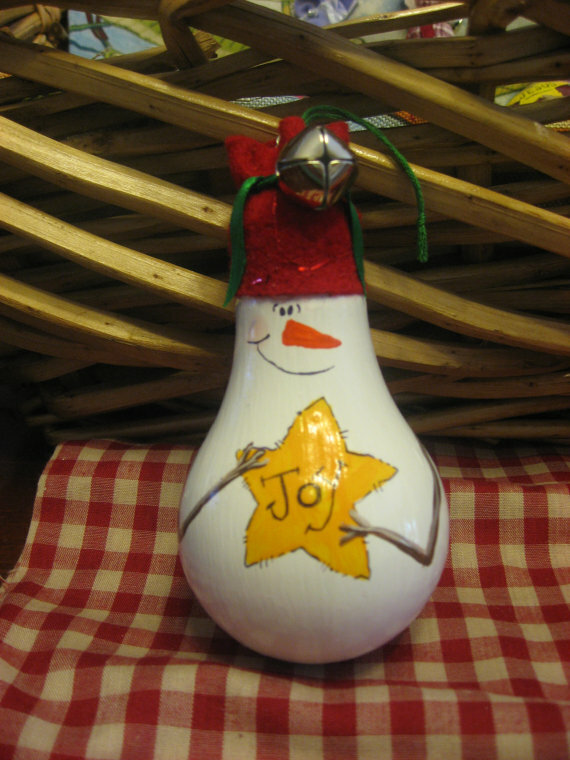 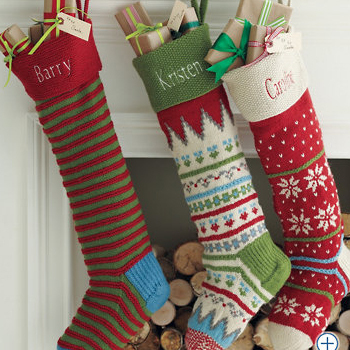 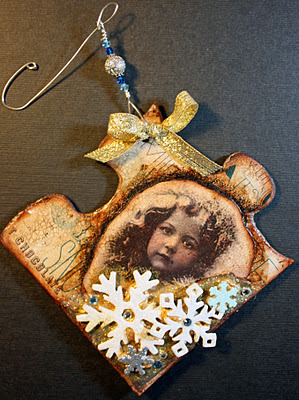 Repurpose those Christmas baubles that you are tired look at, cover with decoupage. 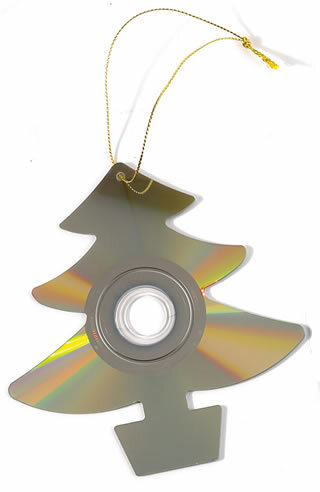 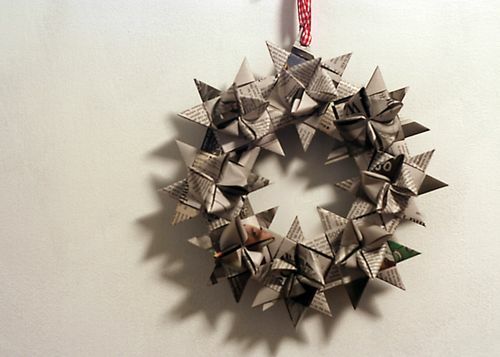 Or buy cheap baubles on ebay and cover with newspaper, tissue, or gift wrap. 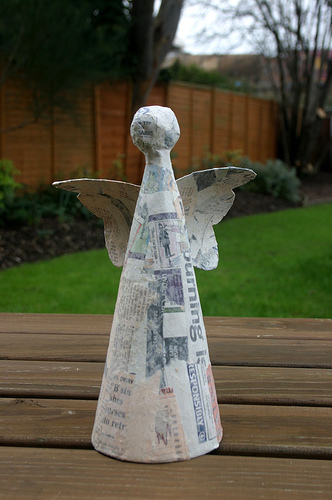 Cool angels made from maps. 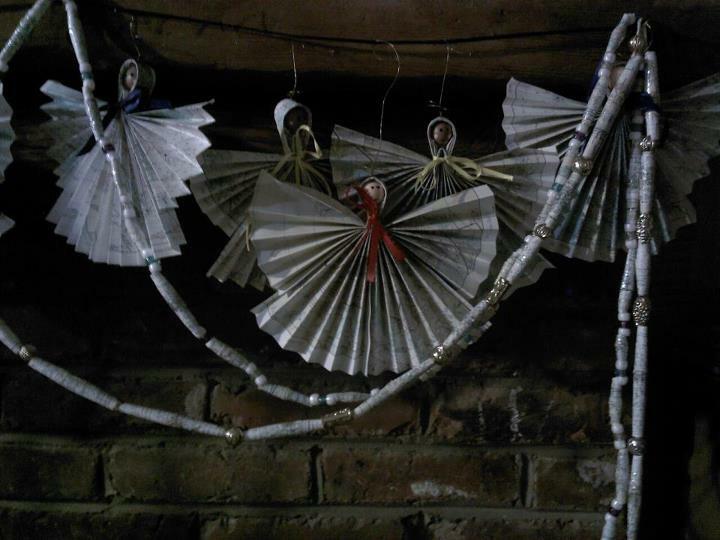 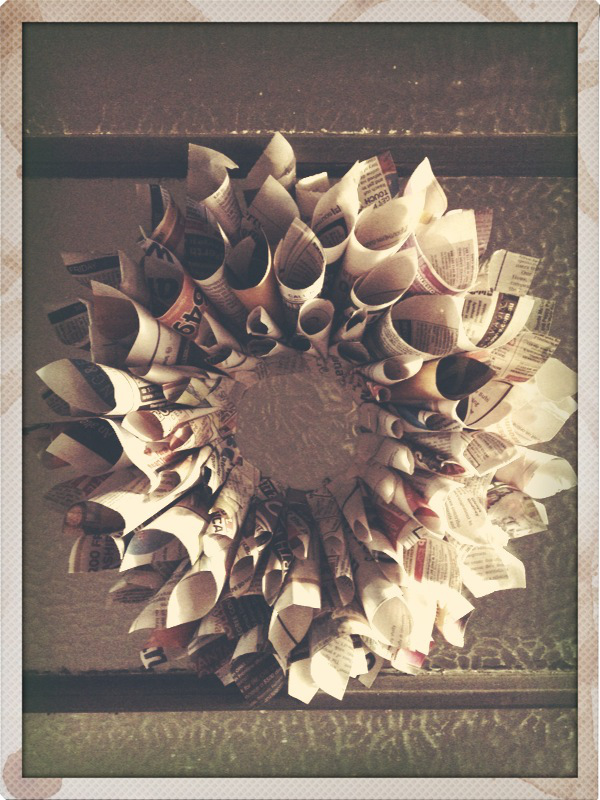 Christmas wreath made from newspaper. 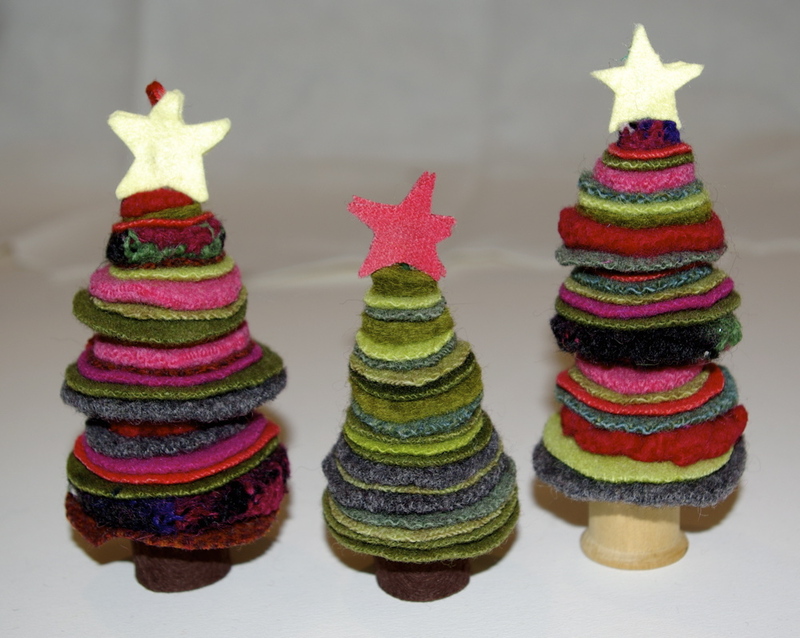 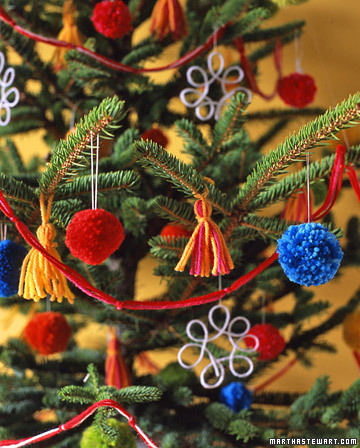 Make felt from old jumpers washed at 90 degrees, and create fab colorful decorations, great to get kids making diy christmas decorations. 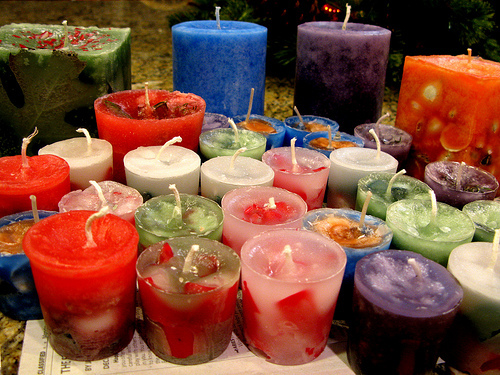 Recycle old candles to make diy christmas candles.